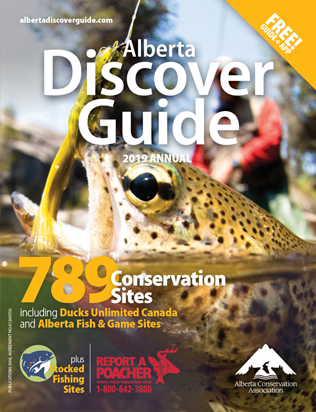 An outdoor haven is at your fingertips with the Alberta Discover Guide. It's the perfect companion for all lovers of the outdoors, with need-to-know information about accessing more than 290,000+ acres of Alberta’s wild side. 2. If you prefer to get your Guide on the go, be sure to download the Alberta Outdoor Adventure Guide app! 3. Find a local distributor near you using the search table below.